ABC7News reported on the progress of a new student-driven sexual harassment policy that is being reviewed by the Oakland Unified School District (OUSD) School Board. The new policy was co-developed by Alliance for Girls, students and OUSD, and would be a groundbreaking policy that is victim-centered and aims to change the pervasiveness of sexual harassment in schools. 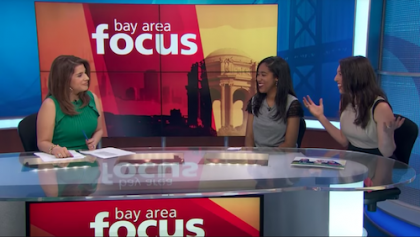 Founding Executive Director Emma Mayerson and student leader Gaby Battle talk to Bay Area Focus host Michelle Griego about Alliance for Girls and how they have been working to help thousands of girls in the Bay Area realize their full potential. 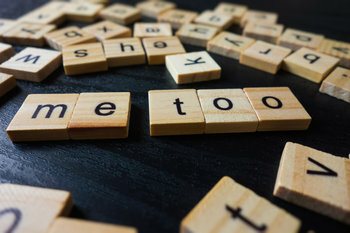 District Administration Magazine published an article that lifts the issue of sexual violence and #MeToo as it affects young women in schools, and spotlights Alliance for Girls' initiative in Oakland Unified School District as a model for the nation. Education Votes spoke with Alliance for Girls Executive Director Emma Mayerson as well as members of the Girls Leadership Team to discuss sexual harassment at Oakland public schools and how it affects girls, particularly girls of color. This led to the passing of the District's new sexual harassment policy, which includes designating a point person in each school to handle sexual harassment and assault complaints (as opposed to one person for the entire district). Telemundo 48 reported on Oakland Unified School District's new sexual harassment policy that passed unanimously in June, interviewing Andrea Zamora, student at OUSD, and Emma Mayerson, Executive Director of Alliance for Girls. 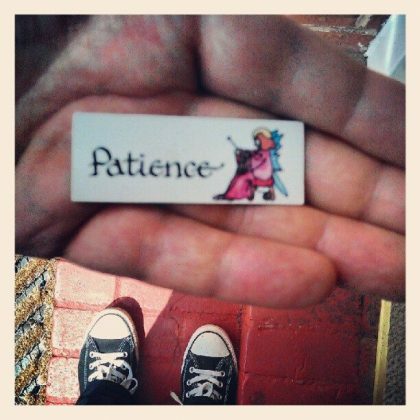 Heard on All Things Considered/NPR, produced by Youth Radio. 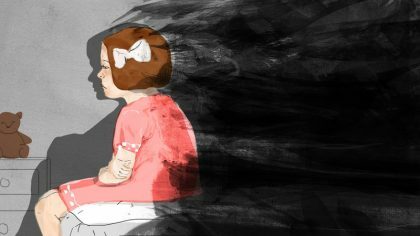 Since 2014, sexual assault investigations conducted by the U.S. Department of Education's Office of Civil Rights are up nearly 500 percent in elementary, middle and high schools across the country. Youth Radio's Charlie Stuip attended Oakland Unified School District's school board vote with Andrea Zamora, 17, a rising high school senior who helped develop the new policy with local nonprofit Alliance for Girls and its member organizations. 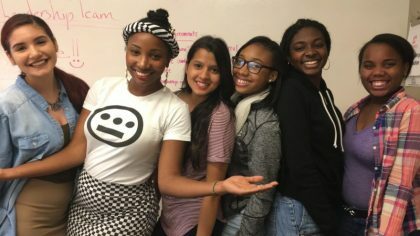 The blog, Great School Voices, wrote about Alliance for Girls' Valuing Girls' Voices report and its community and student-led work to address the challenges young women face in Oakland schools, starting with the modification of Oakland Unified School District's sexual harassment policy. The new sexual harassment policy is responsive to victims and clarifies the role of the school in identifying the nature and harm of sexual harassment. 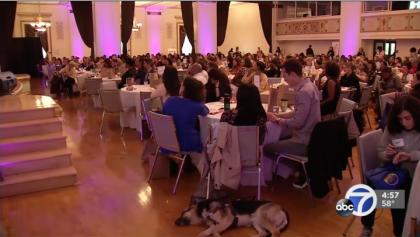 CBS/KPIX 5 reported on the progress of a new student-driven sexual harassment policy that was presented to the Oakland Unified School District (OUSD) School Board on May 24th. The new policy proposes major changes to OUSD's existing sexual harassment policy by taking a victim-centered approach, including having the district provide support to the victim through the entire process and getting rid of language that suggests that a victim may be penalized for reporting sexual harassment. 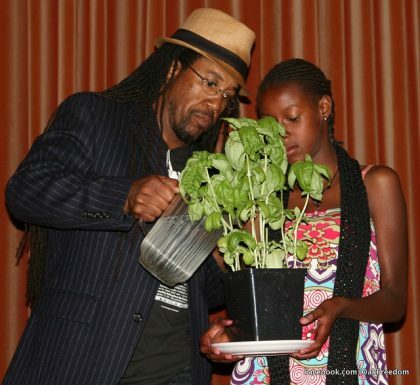 Alliance for Girls' beginnings was featured in an article in the Nonprofit Quarterly. Writer Mark Gunther, Co-Founder and Managing Director of the Eva Gunther Foundation, discusses how their personal philanthropic approach yielded big results with a limited grants budget. 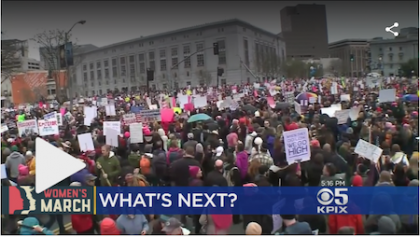 Emma Mayerson, Executive Director of Alliance for Girls, spoke with Jessica Flores on CBS's Channel 5/KPIX about what's next after the Women's March.